This was one of the first distilled absinthes to be comercially released after the ban. Made by Emile Pernot distillery in cooperation with Liqueurs de France, this certainly raised the bar and since then, several high end absinthes have become available. I got this in a store when I was visiting London. I had very high expectations on this one, and I feared that would maybe make me dissapointed. I was wrong. Everything about this one is perfect. It can be enjoyed neat. It can be enjoyed with sugar and water, or water alone. Either way it is excellent. It is a perfect blend of herbs and despite the high alcohol content it is not to apparent. Along the line of Un Emiles, this one is very straight forward. With more complextiy than the Blanche, but not as floral as the Sapin. And not at all as bitter and minty as the Gentiane. That's the supremacy of absinthe, no one is the other one alike. This one is among the absolute top of commercially available absinthes - an entirely distilled absinthe. No artificial additives what so ever. Louche? Yes indeed. 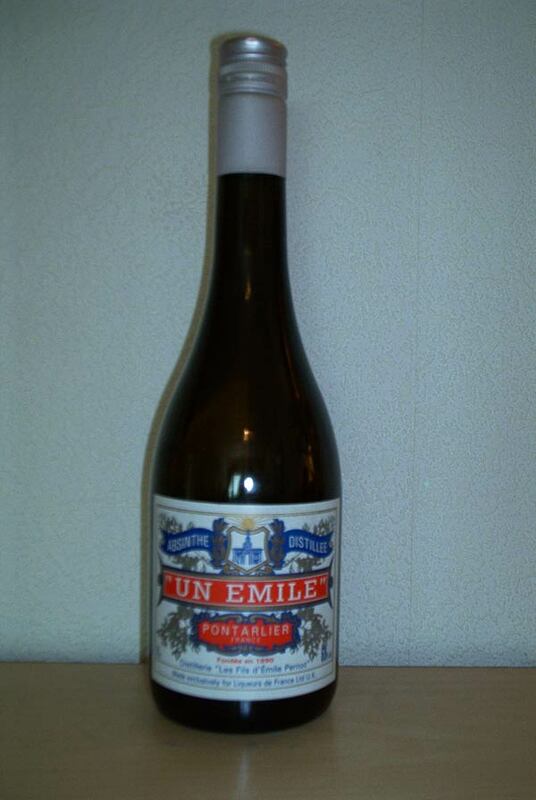 But characteristic to the Un Emiles is a very light louche. To get a thicker louche one can use iced cold water, and a really slow drip. This being the first commercialized distilled absinthe since the ban in 1915, this is what stakes the path for future releases, and what most brands will be compared to - sort of a minimum standard. Atleast according to me. This is really good.